Shizuku is told more about the vagabond Moon, also known as Muta, the cat in this scene from Whisper of the Heart. 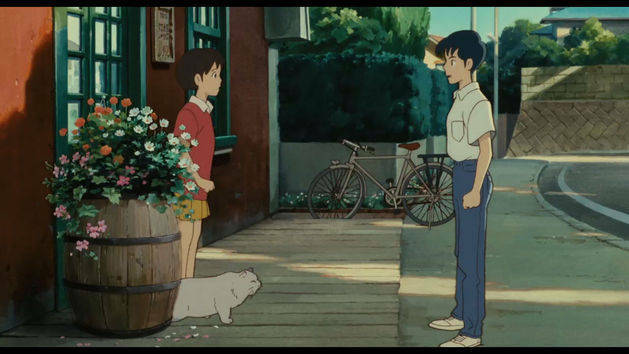 Shizuku meets a cat known as Baron in an antique shop in this scene from Whisper of the Heart. 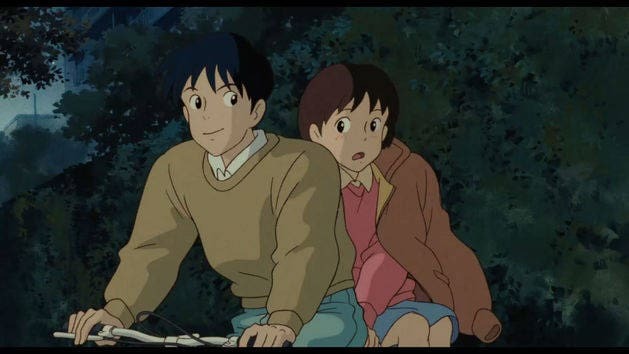 Sieji meets Shizuku to take her on bicycle ride at night in this clip from Studio Ghibli's Whisper of the Heart. Pazu finds Sheeta floating down from the sky, and discovers they are both searching for a legendary floating castle, Laputa. Ponyo is a young and overeager goldfish princess who escapes home to become human and finds a friend in a young boy along the way. When Chihiro's parents undergo a mysterious transformation in a world of spirits, she must find the courage to free her and her family. Haru saves the life of an unusual cat and suddenly her world is transformed beyond anything she ever imagined.